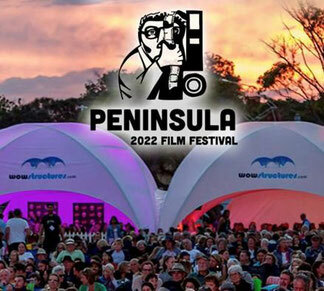 On Saturday 4th Feb the club again attended the Peninsula Short Film Festival—which we have sponsored for the last 2 years partly to support a great local event and partly to showcase Rotary and the wellness Centre. Steve Bastoni and his team have been very supportive of both those aims. Being on the first Saturday of the month it coincided with our February market day making it a big day for those of us who did the market earlier in the day. Our marquee was in great position this year—next to the beer tent as Darren mentioned—and those in the tent could see the screen which was ideal. We also had a presence in the VIP enclosure with President Libby and Claire weaving their magic in there trying to muster up support for the wellness pavilion and promoting Rotary.